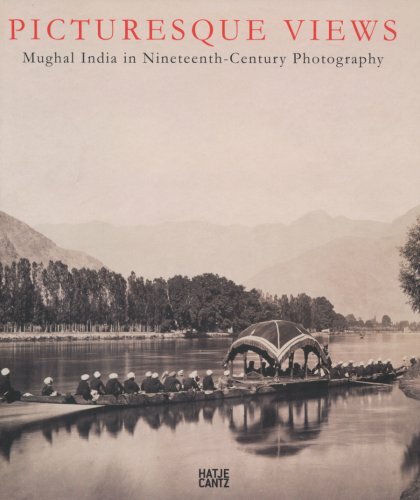 Picturesque Views presents a selection of 80 images by the best known photographers of India’s nineteenth-century Mughal Empire—Felice Beato, Thomas Biggs, Samuel Bourne and John Murray, among other pioneers of those early years of photography. The Mughal Empire spanned the early-sixteenth to the mid-nineteenth centuries, and was one of India’s richest cultural periods. These photographers paid special attention to the architecture and gardens of the Mughals, and this publication includes striking views of the Taj Mahal and fascinating, often shocking, images of the city of Lucknow—known as “the Constantinople of India.” Also included are reproductions of the painstakingly retouched large-format waxed negatives from which some of these prints were made, as well as examples of stereoscopic photography, which was popular at the time.